MIKOLO › Celebrity › Former Miss Uganda Sylvia Namutebi and Ali Alibhai’s Wedding! 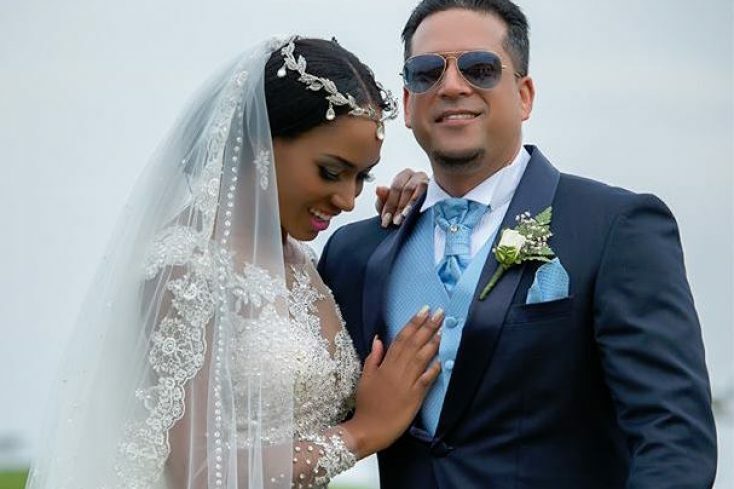 Former Miss Uganda Sylvia Namutebi and Ali Alibhai’s Wedding! Former Miss Uganda Sylvia Namutebi and Talents Africa’s boss love life has for long, been the subject of many a tabloid’s speculations. The sensational Beauty queen decided to kiss the moments of the limelight and showbiz bye when she decided to settle down with her longtime beau and also father to her daughter Ali Alibhai. Amidst a posh and star-studded crowd, the couples, hailing from different religious walks of life decided to choose a neutral location. They picked Serena Kigo. From where they said their vows and after treated the guests to lovely reception within the hotel still. The day for the lovely two had many highlights that we shall run through briefly. First was the exquisite and sophisticated pomp of the deco. It was arranged and if not told you wouldn’t believe it was in Uganda! It was a class at its best. Second, the wedding attires were on point! The groom and his squad looked like mannequins in their suave sharp tuxedos. The Bride was in a lace embroiled gown which was at the verge of getting ruined by the rain that, showered “cats and dogs”! But save for the good maids who held the dress up high and made sure not even a thread touched the floor till they were on dry land again. A reason you ought to get good maids. Talking about maids it was a total beauty galore, the maids were dashing. Unlike what you are accustomed to these wouldn’t go unnoticed. Also, though small, the guests were totally mesmerized by the free printed souvenir photographs of themselves handed over to them at the end of the function. The day was colorful, the beauty queen didn’t disappoint. We really didn’t understand the shape of the cakes, but well to God be the glory. Congratulations Mr. and Mrs. Alibhai we wish you many a bliss filled marriage!